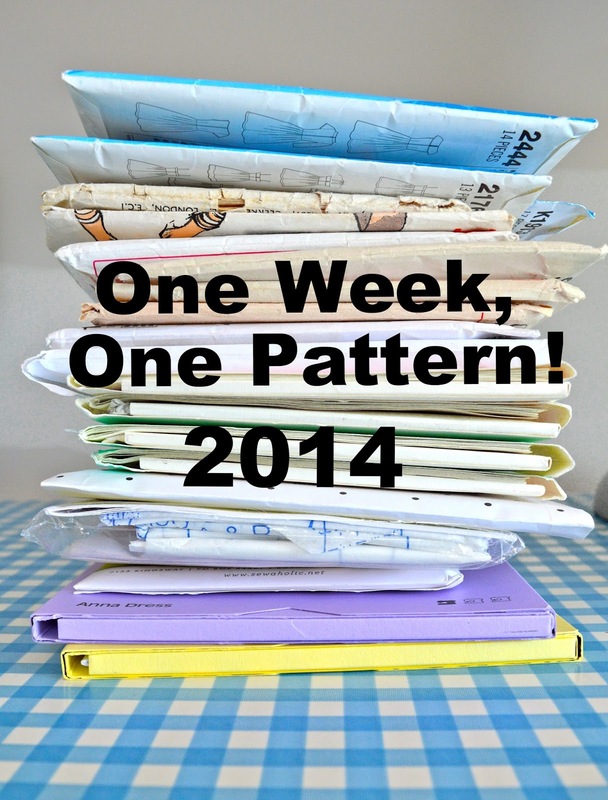 Tomorrow sees the start of One Week One Pattern, a sewing challenge, hosted this year by Handmade Jane. The concept is to wear one pattern for a whole week. 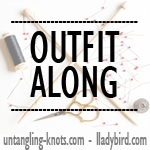 I do enjoy a good sewing challenge and this will test how versatile a pattern can be, just by changing the type of fabric, print or simply styling. I have opted for the Grainline Scout woven tee, I needed to pick something practical because I will be wearing jeans for at least three days of the week at work (trust me, digging and pruning in a dress is a no no!) I already have three versions of the Scout in my wardrobe, all of which are woven. I wanted to see how the pattern translates to other fabrics so I have made three more; two knit versions and one in a very light cotton/silk blend. I will be posting slightly blurry bathroom selfies on Instagram (justsewtherapeutic) with the hashtag #owop14. I’ll also do a round-up post with pictures of each Scout modelled on Doris so you can see what they look like without all the blurriness! Really looking forward to this and especially seeing what everyone else is wearing! Are you taking part and if so which pattern have you picked? 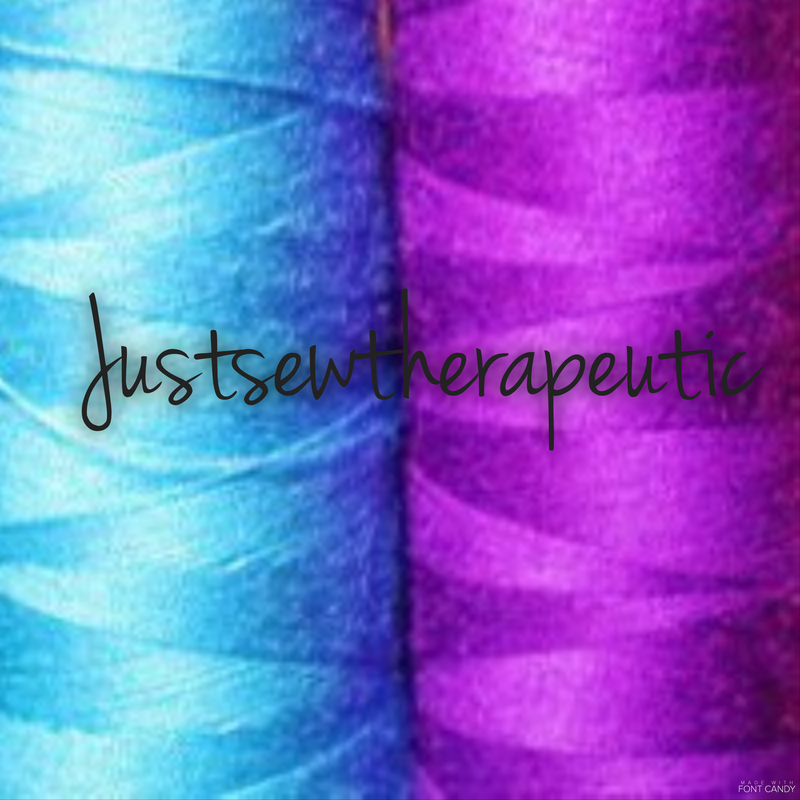 This entry was posted in Sewalongs and tagged grainline scout, Handmade Jane. Bookmark the permalink. I’m in with the Belcarra blouse and I’m in the middle of sewing another couple to boost my wardrobe, so that I can meet my own sartorial expectatons within the OWOP challenge. Good luck with your Plantains, I’m looking forward to seeing them. I’m also interested in hearing how a woven pattern translates into a knit garment. Looking forward to seeing your tees on instagram! That is exactly what happened to my skirt – it was second thing I made and I didn’t pre- wash and the skirt shrunk but lining didn’t! I have always pre-washed since! I’m in. I don’t have time to sew anything new, but I do have 4 versions of Butterick B5988! I am looking forward to seeing everyone’s garments. I’m using a top pattern – New Look 6808. I only have three at the moment but I have had a 4th planned since about January!! I just need to get around to sewing it up! I think tops will definitely be a but more versatile. I know what you mean about ‘planned’ projects, I’ve got a load of things I was going to do last winter but never got around to, will hopefully tackle them this time around! I wish I was taking part, but I’m a bit too late to the party this time. Maybe next time. Hope you have fun and I am looking forward to seeing your scouts! Thanks Heather, it’s still not too late to use your Jalie tops! Hi! I’m planning on participating with New Look 0180 – a dress I already have three of and one underway… we’ll see if I can get it and two more done! So how do we do this? I’m not on instagram and really don’t want to add another media to my life! Do I just do a post at the end of the week on my blog and tag it OWOP? Thanks for hosting this! 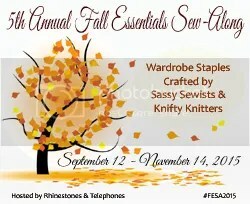 It will be fun to see everyone’s patterns and makes!